Trump focused on a story from Carson’s books where he writes about stabbing someone with a knife. “It hit the belt. And the knife broke. 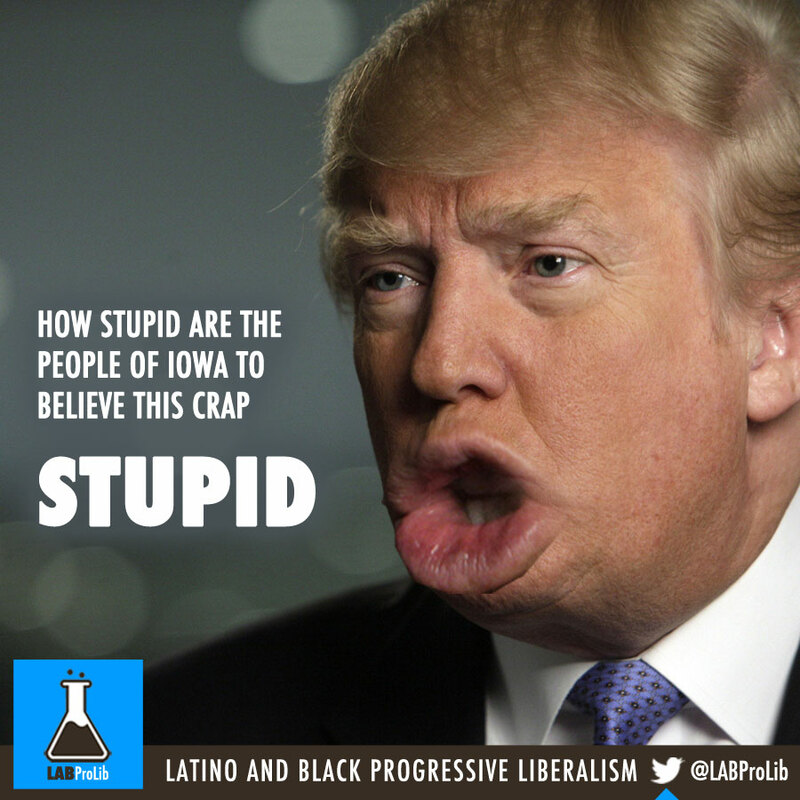 Give me a break,” Trump told the crowd at Iowa Central Community College. Trump then stepped away from the podium and demonstrated what Carson stabbing a friend in the belt would look like. “He hit the belt buckle? Anybody with a knife wanna try it on me? Believe me it ain’t gonna work,” Trump said. But, Ben Carson wasn’t the only focus of the night as Trump touched on a handful of issues, from bombing ISIS to Mitt Romney‘s loss and Tuesday’s GOP debate on Fox Business. Clearly feeling fired up about his status at the top of the polls, Trump cursed during his remarks when telling the crowd how he would handle ISIS in the Iraqi oil fields saying he would “bomb the sh**” out of them. The night began with Donald Trump talking about the GOP race in general terms acknowledging that “people are getting a little rambunctious.” But, in the end it was Trump who really took the gloves off. WARNING FASHIONISTA WOMAN AT WORK!